What if being content is enough? What if letting go of striving, letting go of “should do” “should be” “should have” “need more” “but she/he has more than me” “why isn’t my business more like hers” “but but but” is really what balance and flow are all about? What if simply being content, right here and right now, in this time and space and in this energy within and just around you, could be enough? Take a deep breathe, let it go with a sigh, stretch your toes, turn up the corners of your mouth, look out the window. 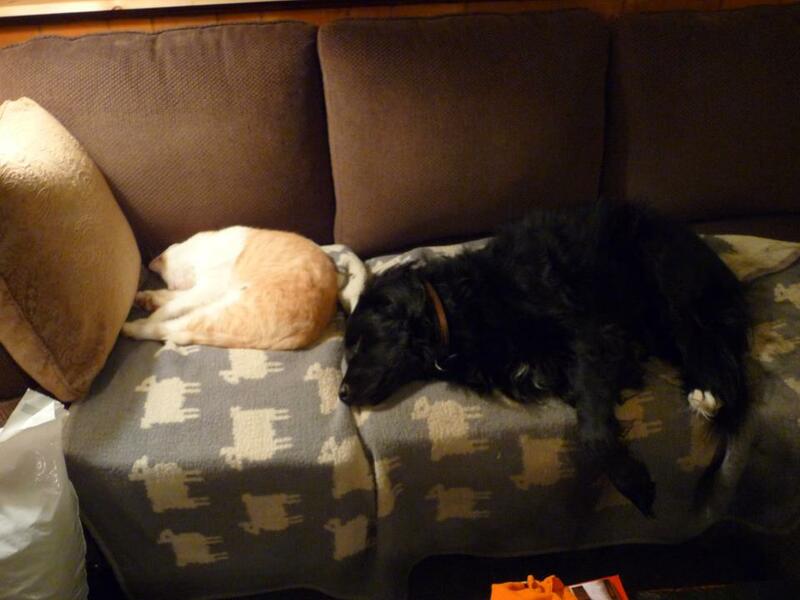 I couldn’t resist sharing this image of Freya (the dog) and Marvin (the cat), 2 good buddies, simply resting in their contentment zone with you today. Because they never question whether they are enough as they are. In the contentment zone, in the energy of contentment, everything is good enough.